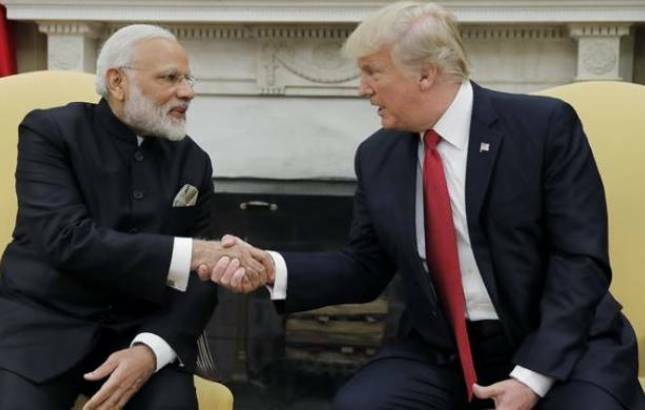 The launch of the two-plus-two dialogue was announced last summer when Prime Minister Narendra Modi had a successful meeting with US President Donald Trump at the White House. The two-plus-two meeting between India and the United States has been postponed due to the uncertainty over the confirmation of the nomination of Mike Pompeo, as the new Secretary of State, according to officials. The first two-plus-two meeting between India and the US was tentatively scheduled for April 18-19. The launch of the two-plus-two dialogue was announced last summer when Prime Minister Narendra Modi had a successful meeting with US President Donald Trump at the White House. However, there was no official announcement of the high-level dialogue involving the foreign and defence ministers from the two countries. India's foreign and defence secretaries were here early this week for preparatory talks with their American counterparts. The Indian delegation landed in Washington DC amidst the firing of Rex Tillerson as the Secretary of State by Trump. The delegation continued with their meetings both at the State Department and the Pentagon as scheduled, during which it was decided to hold the two-plus-two dialogue at a later date, which is unlikely to be held before the summer. The two-plus-two dialogue was seen as a vehicle to elevate the strategic relationship between the two countries. After June last year, the two countries have tried at several other dates for this dialogue including sometime in November and December.